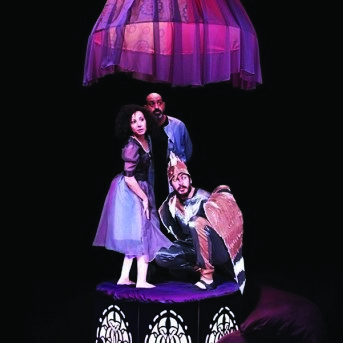 "Charming fairytale - ★★★★ The Stage"
Al Harah Theatre is a theatre company based in the West Bank in Palestine, and is one of the longest running in the region, making theatre for both adults and children under extremely challenging circumstances. Jihan’s Smile tells the story of Jihan, an ordinary child, who woke up one day to discover that she had lost her smile. The sun set, the moon disappeared, everything lost its colour, cold spread throughout the town, and the people got sick. All the people of the village now have to search for Jihan’s smile, for once her smile returns, the sun will rise, the moon will shine, the stars will dance, colour and joy will return to the village.